This past summer, my Mother gave me the prized recipe book she has been writing in ever since my sister and I were kids. I remember seeing the fat blue book opened up on the counter-top as she whipped up sweet treats galore. The book is filled with recipes from my grandmothers, aunts, Mama’s good friends, colleagues and even a few popular magazines at the time. 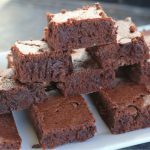 While flipping through the pages, I found an incredibly easy recipe for Brownies that I tweaked to make a tad bit healthier and yes, this is definitely gift-worthy. Now if you prefer fudge-y brownies, this may not be the recipe you’re looking for. These are more cake-y in consistency, with a crumbly top. 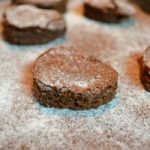 (just the way I love my brownies!) 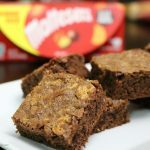 Before you click away though, I encourage you to give these a shot though as these brownies are packed with flavor and oh so good! And yes, if you want to make these healthier, throw in some spinach and I promise the kids won’t even know you did. Preheat the oven to 350 degrees Fahrenheit and prepare a 13x9x2" cake pan by greasing and flouring it prior to pouring the batter into the same. In a big bowl, manually whip the eggs. Add to this the sugar and mix well.Now add the applesauce, butter and vanilla extract. Combine the same. Finally add in all the dry ingredients and mix till well combined. Pour the prepared batter into the pan and pop into oven for about 20 minutes. Keep checking to see if it's ready with a toothpick/fork-bake test. Serve these hot or wait till these cool a bit to make cutting the brownies not as messy. 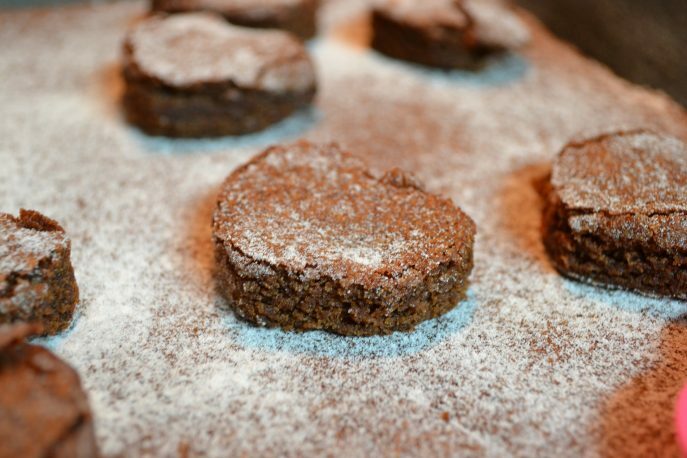 Once our brownies cooled completely, I pulled out my mini heart cookie cutter and cut into the baked brownies to create mini brownie hearts. These look so much cuter than regular squares when placed inside the tall glasses I picked up from Dollar Tree. To add an extra special touch, I personalized each glass with the teachers’ names on vinyl, using my Silhouette Portrait machine. (Investing in a Silhouette Portrait machine is one investment you will not regret especially at times like these!) Also found some designs in the library to die-cut and create pretty gift tags too. 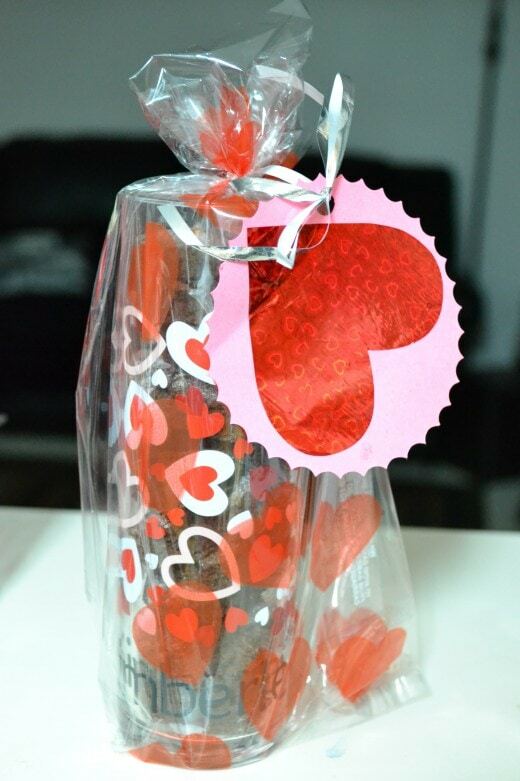 This is definitely a ‘sweet’ yet frugal way to show your child’s teacher that he/she is appreciated. What do your kids do for Teacher Appeciation Day at their schools? It amazes me that Spinach is often undetected when added to many foods. That is a cute idea, but we are not allowed to send food into the school like this because of allergies. That is an adorable idea. I may not send any to school, but I’m definitely making these brownies. Thanks! I am a former special ed teacher and I approve this message! YUMMO! 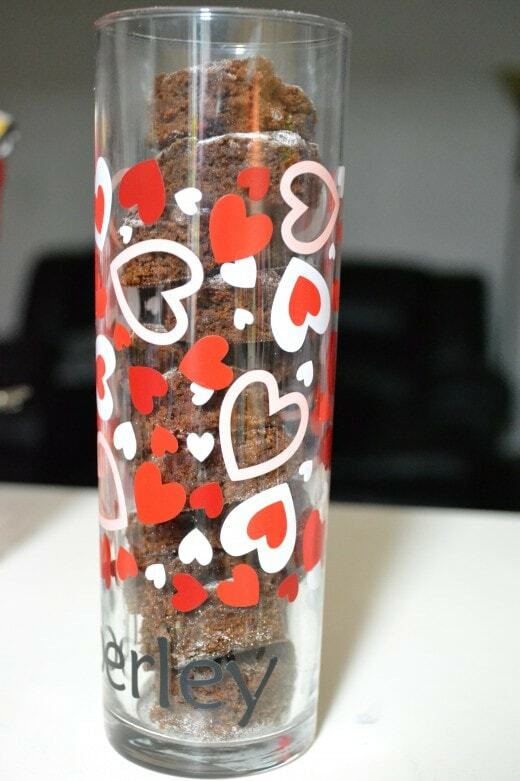 I love the glasses for the brownies! So cute! this looks like a yummy recipe! I’ll take brownies any way I can get them! 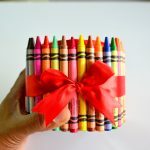 The little gift you made with them is perfect for teachers! Teacher appreciation always sneaks up on us! I try to get creative but often times I donate money for a class gift. Awww!! I love that your mom gave you the book!! 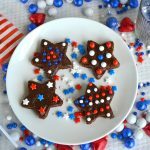 Those brownies look amazing – and the presentation is fantastic! What a cute use of your Cameo! I haven’t used mine since Christmas, but I think I need to make a few of these glasses for gifts soon! I have a Portrait Theresa and love playing around with it. Think I’m going to do something for Dr Seuss’ birthday too! Hurrah for passed down recipes. This is a great gift to give the teachers! Yum these look and sound great. I like the idea of giving them and have you have them packed. Adorable! Yum! I love recipes and easy are the best. I’m thinking I need to make up a batch of these! I love a yummy homemade treat. These look delicious & don’t sound too challenging to make. I can’t wait to try them. What a cute little gift! So true about the spinach. I even tricked them with black bean brownies. Those are super yum! Chrystal, do you have a great recipe to share? I would love to try that out on my kids! I know right? Who can say no to chocolate? That is a neat combination. Looks so very good. What a cute idea! Who does like brownies? Those sure look good and I love the way you’ve packaged them up so cute. What a nice treat for someone to receive. This looks like a delicious brownie recipe. I will have to try it this weekend when i do some baking. Brownies are my favorite! This recipe looks like one I need to try! I love this! What a great and delicious treat for a gift of appreciation~! 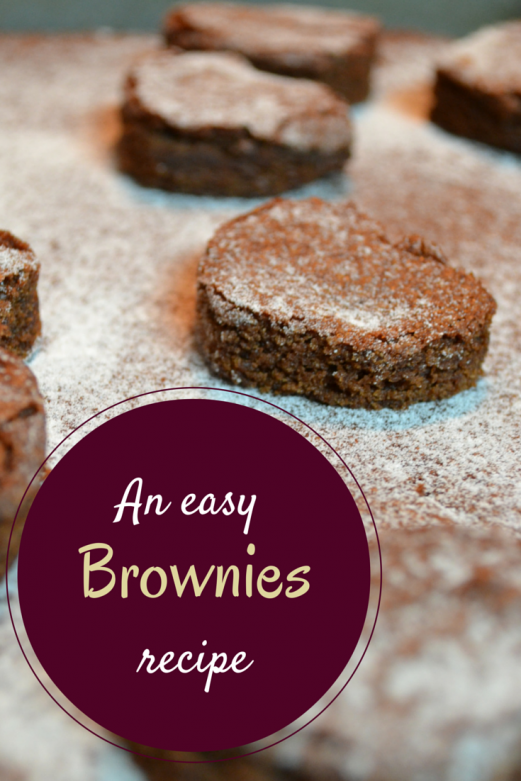 Brownies are easy to make. I love the way the house smells when they’re baking too.